The Greek Epigraphic Society was founded in 1985 in Athens and is a non-profit organization. 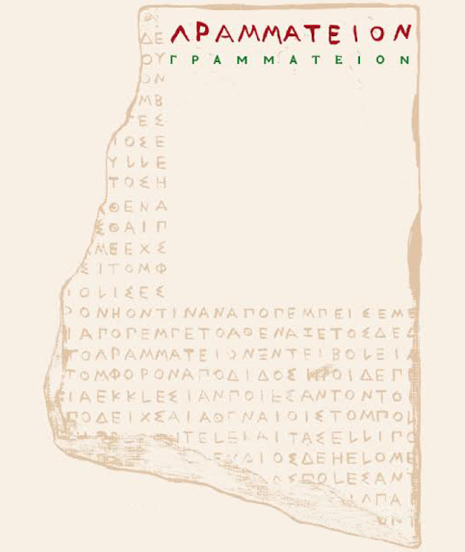 Its mission is the pursuit and worldwide promotion of the study of Ancient Greek inscriptions. The Greek Epigraphic Society collaborates with several research institutions, foundations, and museums such as the Archaeological Society at Athens, the National Research Foundation, the Epigraphical Museum at Athens, the Greek Archaeological Service of the Greek Ministry of Culture, the foreign archaeological schools located in Greece, the Inscriptiones Graecae of the Berlin-Brandenburgische Akademie der Wissenschaften and other academic and research institutions abroad. * Offering courses on Greek Epigraphy. * The creation of an epigraphic and classical library. 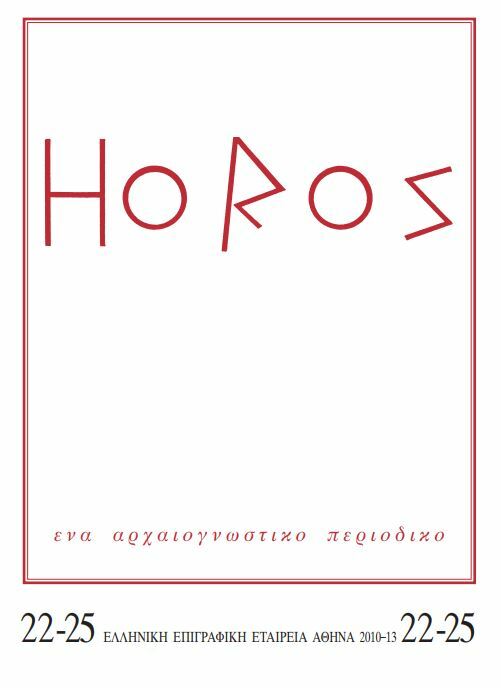 * The publication of the epigraphic journal ΗΟΡΟΣ (Horos). * Monographs on topics related to Epigraphy, Topography and Ancient History. * The publication of the electronic journal ΓΡΑΜΜΑΤΕΙΟΝ. * The organization of International Epigraphic Conferences and Symposia.